Welcome to our Truck Driving Jobs Resource Center. Through our portal, you’ll be able to access trucking jobs all across the North America. Thanks for using Truckers Logic for your job search. With our partnership with Indeed, we're able to help you find the job opportunities you're looking for. Just type in the keywords you're searching for and our search engine will find relative jobs. Don't forget to add a specific city, state or zip code. It's that simple. There's thousands of truck driving jobs all over the internet and nearly all of them have good pay and great benefits. And in order to make Truckers Logic your one-stop-shop for everything trucking. We have brought in truck driving job searches to help you find your next truck driving job. If you're looking for a new truck driving job from the biggest trucking companies in the world, make sure you scroll down and go through our list of truck driving jobs. All you have to do is click on the truck driving job that interests you and fill out their application. Your application goes directly to the company and you will not have 20 recruiters calling you to harass you! 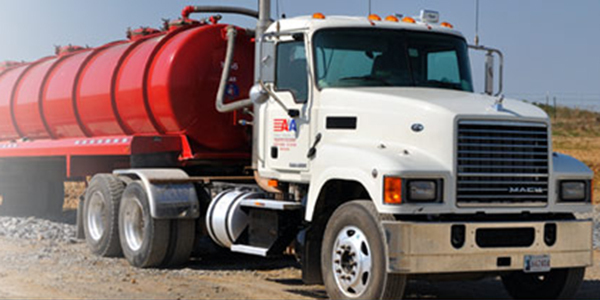 We know that there's several factors that make the perfect truck driving job. You want to find truck driving jobs that pay great, have medical benefits or perhaps a truck driver job close to home. There's a lot of different questions that you should be asking yourself. How much will I get paid per mile? Which trucking companies offer medical benefits? Does this trucking company offer 401K? How much time will I be spending on the road? At home? We have a list of the top trucking companies in the country and many of them have truck driving jobs available. You need to consider which job will work best for you. In order to do so, you're going to need to see what each trucking company has to offer. There's pros and cons to every trucking company so get use to it. There's pros and cons to being a truck driver. However, the truck driving industry is growing and it's a very rewarding career. We know that you want a truck driving job that pays good money. And usually your pay is determined by the years of experience you have as a truck driver. However, in today's market you may get paid more because of the truck driver shortage. Or have you ever considered starting your own truck driver business? If not, you may want to consider be an owner operator. You have many options as a truck driver, you just need to find out what works best for you at this point and time. If you're not a truck driver, you should look into how to become a truck driver. Truck drivers make great money and you have several different options. It's always best to start out with a trucking company first, but as you grow and get experience, you can always venture out on your own authority. Truckers Logic has several articles that explain the trucking industry in detail. We hope that you'll take the time to sign up for free and be an active member on our blog. You'll have full access to all our great features and benefits. If you ever have a question about anything, be sure to leave us a comment. We hope you enjoy Truckers Logic and good luck on your future truck driving job!